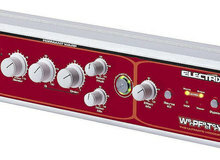 TRoots Effects has announced that the new version of its FT1 Dub Filter will start shipping in early January 2016 and offers a special preorder price. Meris is a young Californian company that debuted last year with audio modules in Lunchbox format. Created in 2008 by Tooney Roots, the little french company offers gear for Dub and Reggae producers as well as for DJs. Gemini Audio Releases NVE PRE 73, a library for Acustica Audio's Nebula plugin. Mackie announces the SP260 2x6 Speaker Processor. The Audible Disease NoiseGen NG-1 is a simple white noise generator. MaximalSound.com is an online, one hour delivery, pre-mastering service offering a free sample for approval before buy.